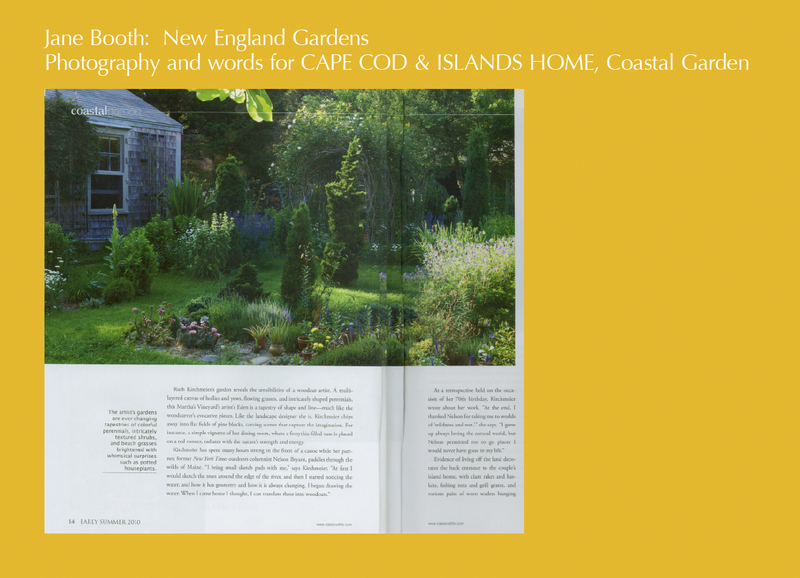 Finding all-day sun where the old rose resides, the homeowners enclosed the lawn on the ocean side planting a secondary hedge of privet to protect a new brood of perennials from cold winter gusts and wind-born salt spray. 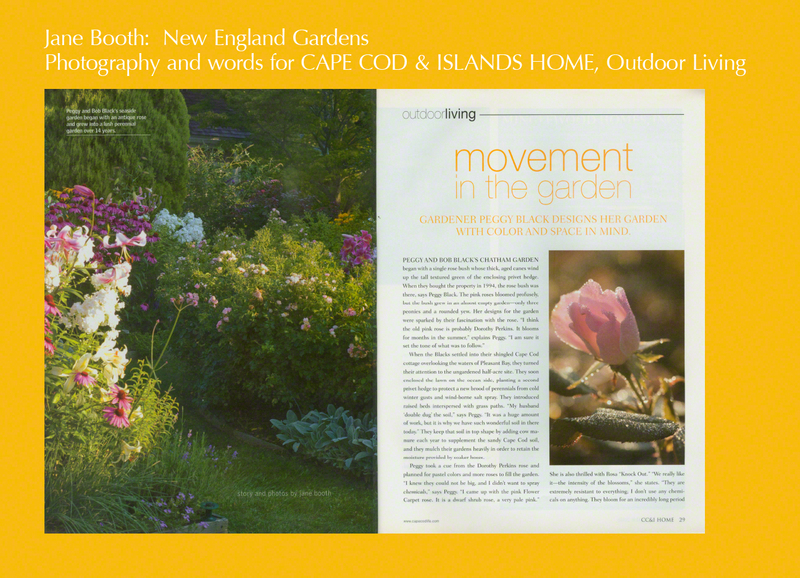 Peggy has a knack for elegant ladylike combinations of pink and white with a touch of blue or a splash of yellow to spark the overall effect. 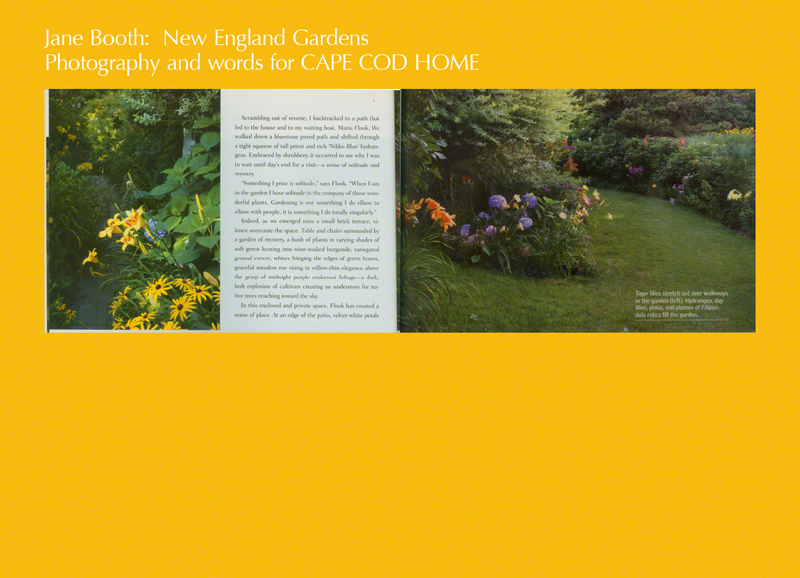 When asked about her color scheme she answers that she and Bob often sit at the edge of the garden under the pergola. 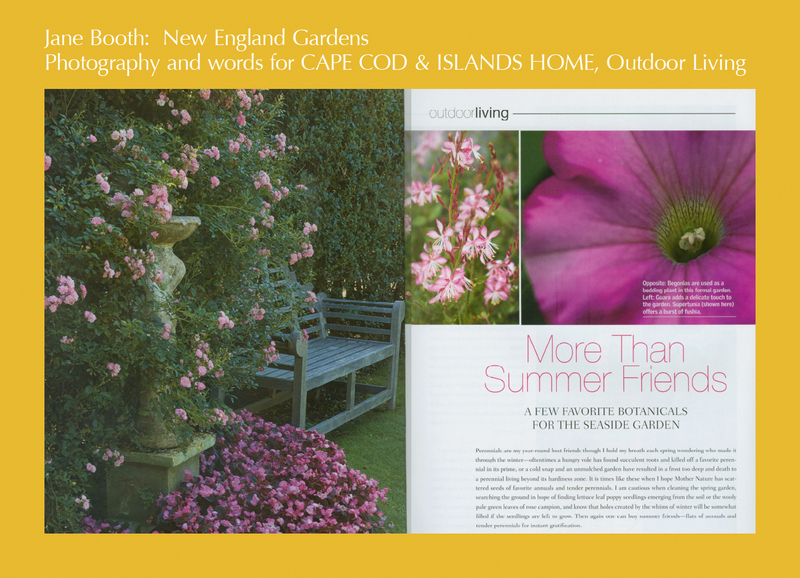 “Because the color is so close to where we sit, I decided on a cooler color scheme rather than a hot one.” Peggy admits ‘Dorothy Perkins’ was an impetus for pastel colors and more roses. 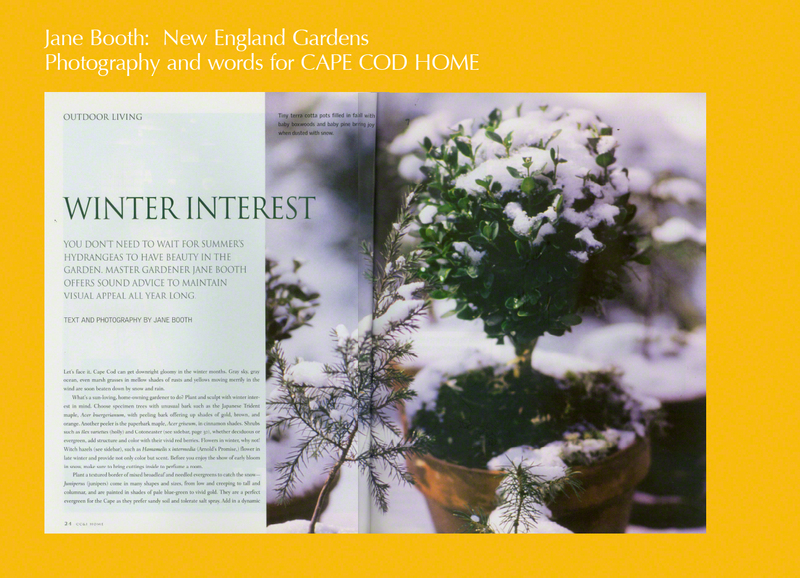 Peggy’s green thumb has had training. 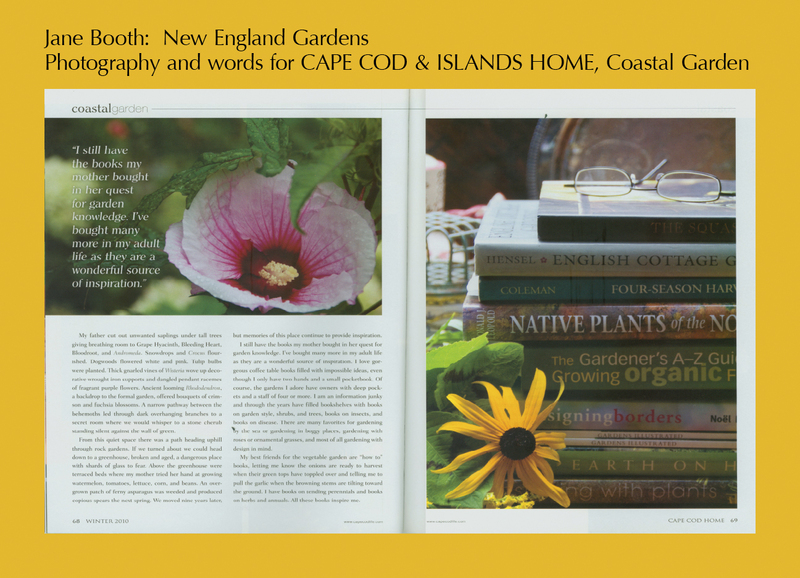 She enrolled in the master gardener program through University of Massachusetts Cooperative Extension Service in Barnstable and found it indispensable. 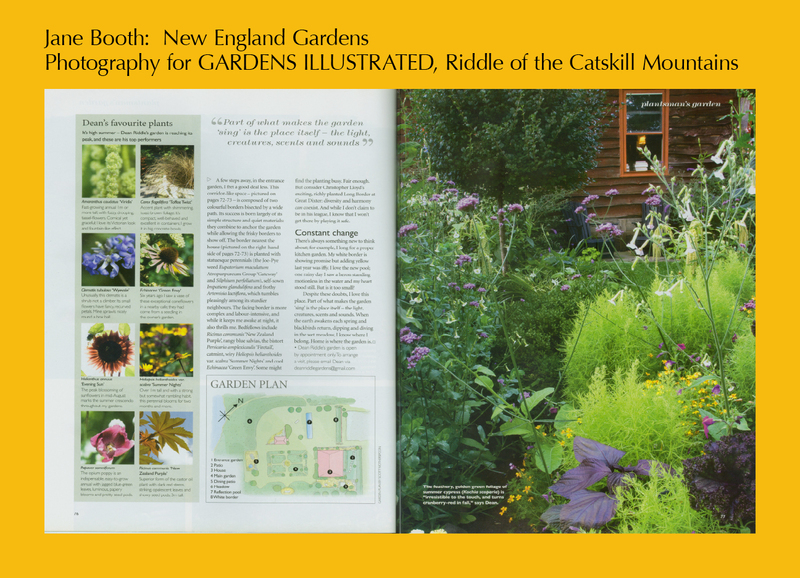 “I got so much out of it, I wasn’t ready to quit … that’s when I went to The Landscape Institute (of the Arnold Arboretum in Boston)” where she earned a Certificate in Landscape Design and gained knowledge in garden history and design, site engineering and construction, and the possible uses for many, many plants. 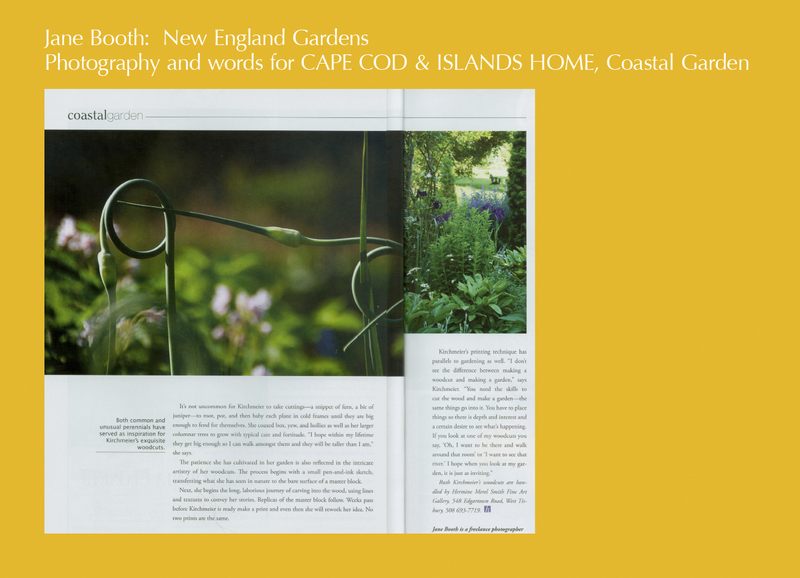 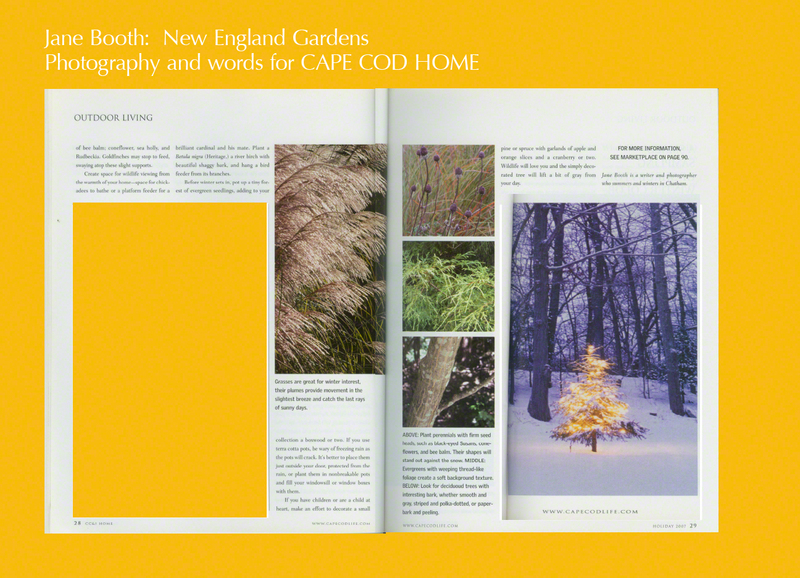 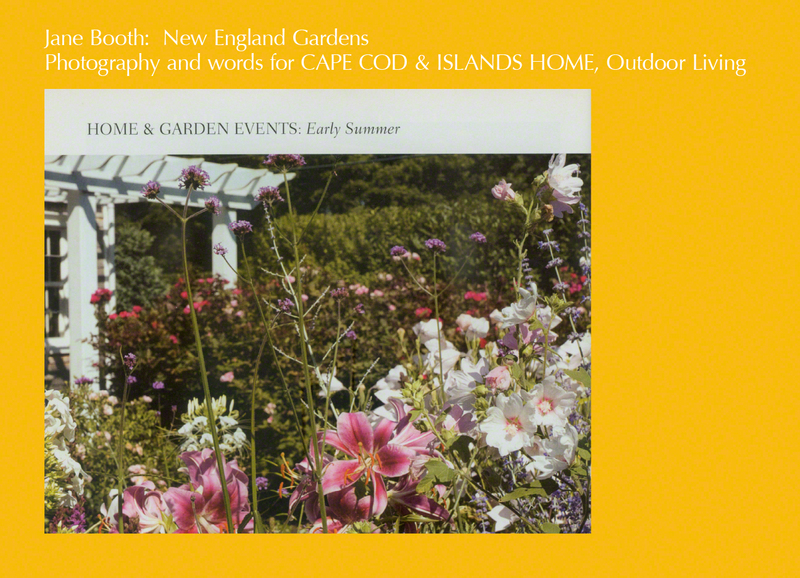 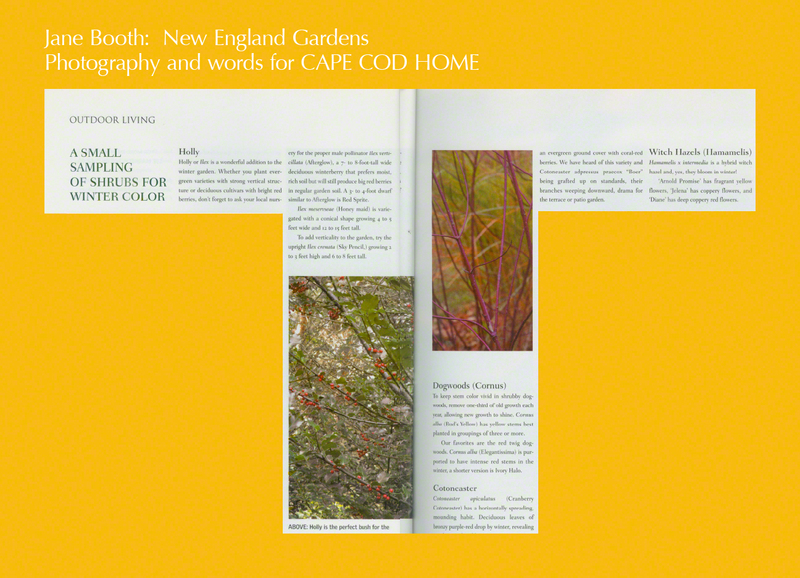 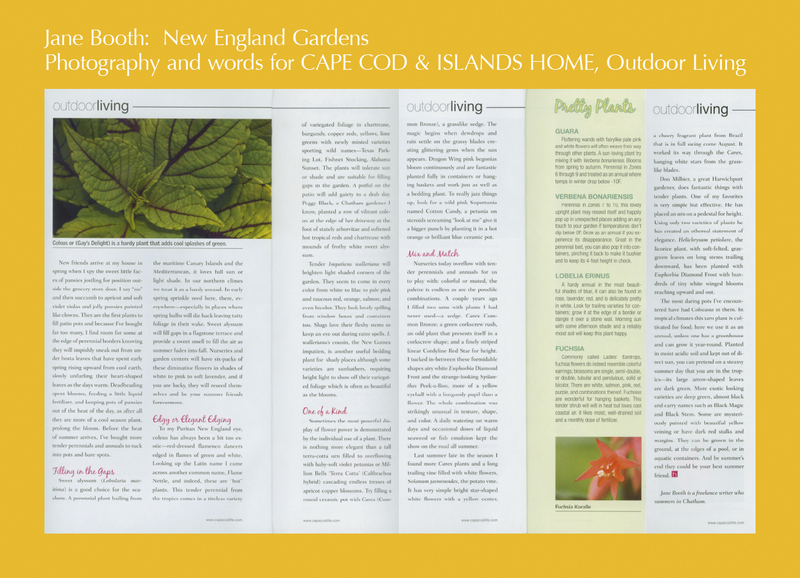 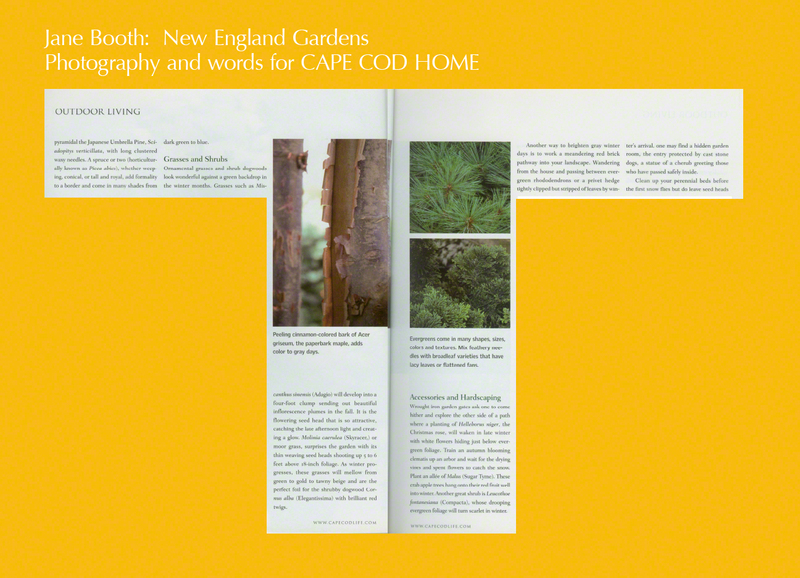 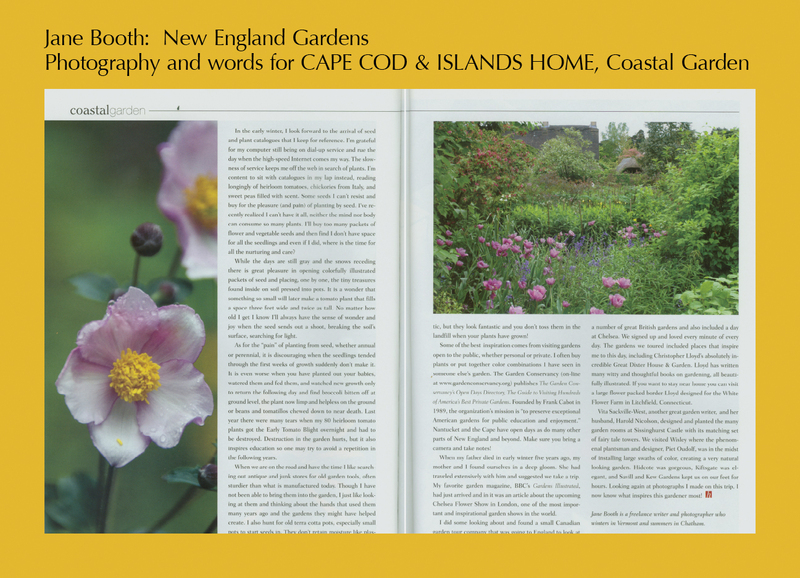 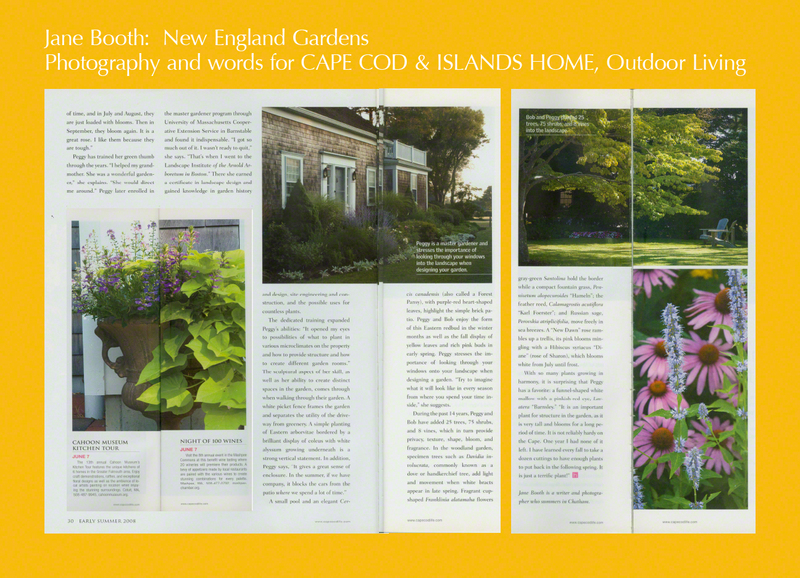 This entry was posted in Cape Cod Home, Gardening by the Sea, Published Work and tagged arborvitae border, Athrium niponicum 'Pictum', Calamagrostis acutiflora 'Karl Foerster', Cape Cod garden, Cercis canadensis 'Forest Pansy', coastal garden, Davidia involucrata, eastern red bud, Festuca glauca 'Elijah Blue', Franklinia alatamaha, garden photographer, garden pool, gardening by the sea, handkerchief tree, Heuchera 'Pewter Veil', Heuchera 'Plum Pudding', Hydrangea animal 'Petiolaris', Jane Booth, Jane Booth Cape Cod and Islands garden stories, Jane Booth Cape Cod garden stories, Jane Booth garden photographer, Jane Booth garden stories, Jane Booth garden writer, Jane Booth New England garden photographer, Jane Booth New England garden photographer/writer, Jane Booth New England garden stories, Jane Booth New England garden writer, Jane Booth New England Gardens, Jane Booth photographer, Jane Booth writer, Japanese blood grass Imperata cylindrica 'Red Baron', Miscanthus sinensis 'Morning Light', New England garden stories, Peggy and Bob Black, Peggy Black garden design, Peggy Black landscape designer, Pennisetum alopecuriodes 'Hameln', private garden New England, seaside garden, The Landscape Institute (of the Arnold Arboretum in Boston), University of Massachusetts Cooperative Extension Service Barnstable on February 16, 2013 by Jane Booth. 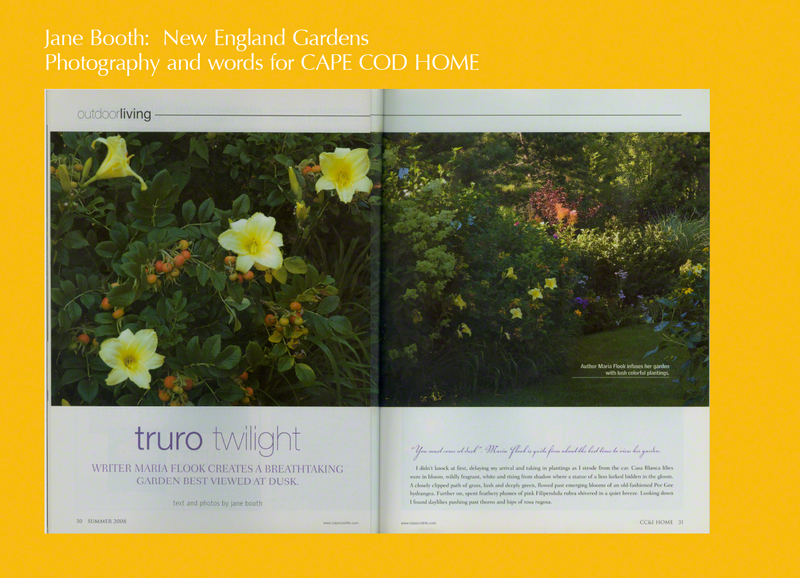 “You must come at dusk”, was Truro author Maria Flook’s invitation to her garden. 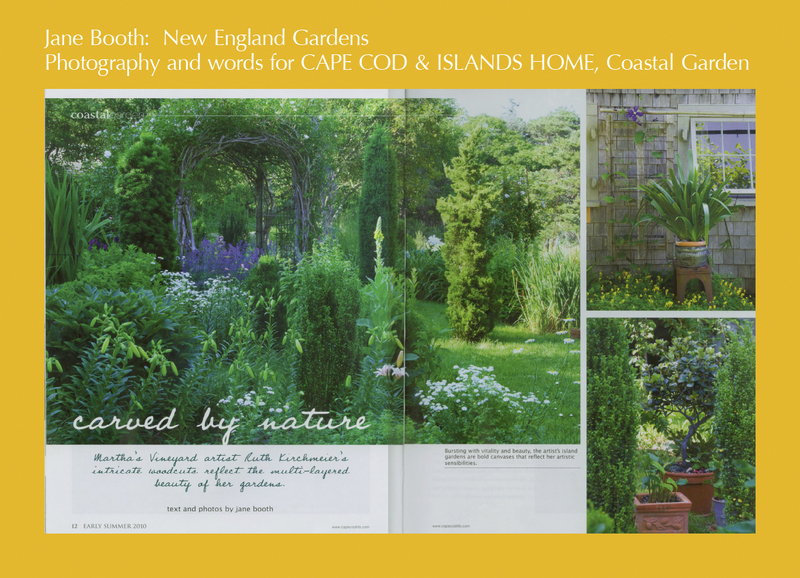 I didn’t knock at first, delaying my arrival and taking in plantings as I strode from the car. 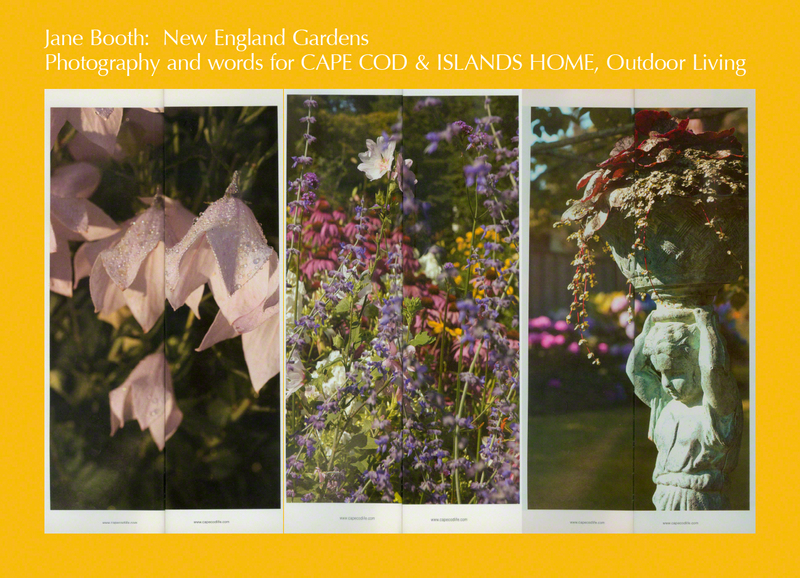 Casa Blanca lilies were in bloom, wildly fragrant, white and rising from ado where a statue of a lion lurked hidden in the gloom. 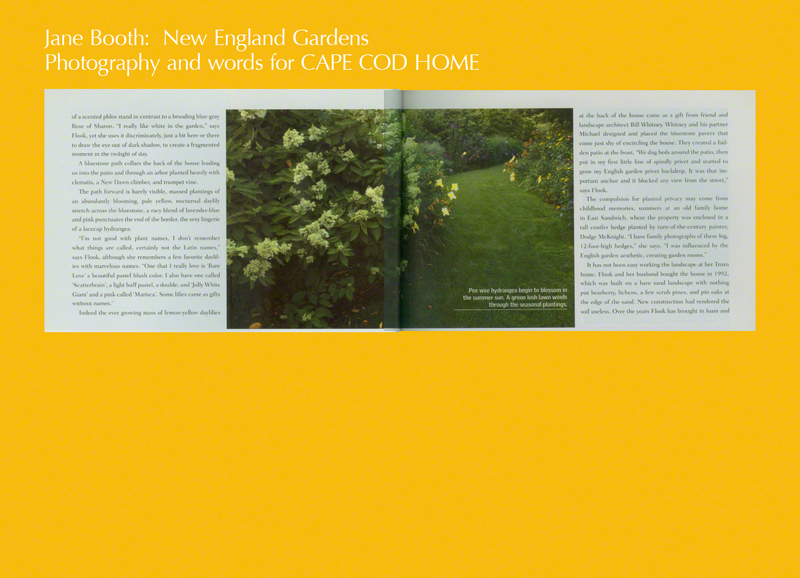 Indeed, as we emerged onto a small brick terrace, silence overcame the space. 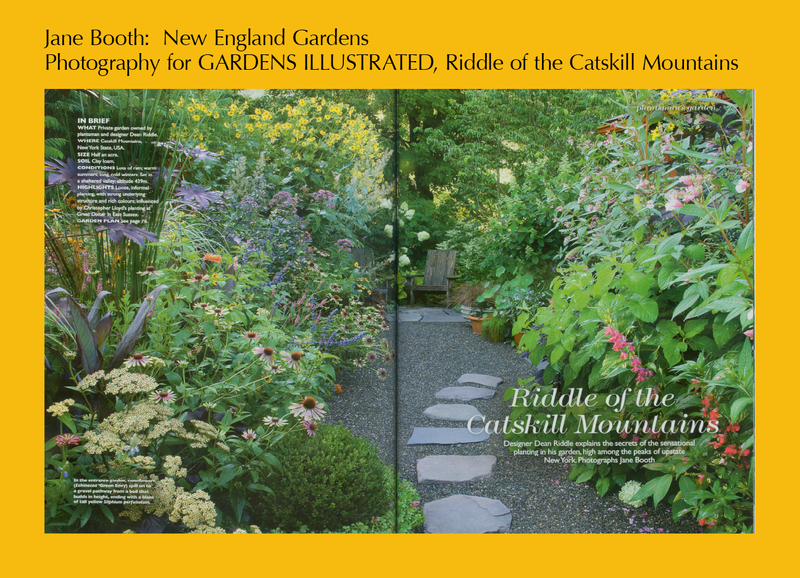 Table and chairs surrounded by a garden of mystery, a hush of plants in varying shades of soft green leaning into wine-soaked burgundy variegated ground covers, whites fringing the edges of green leaves…. 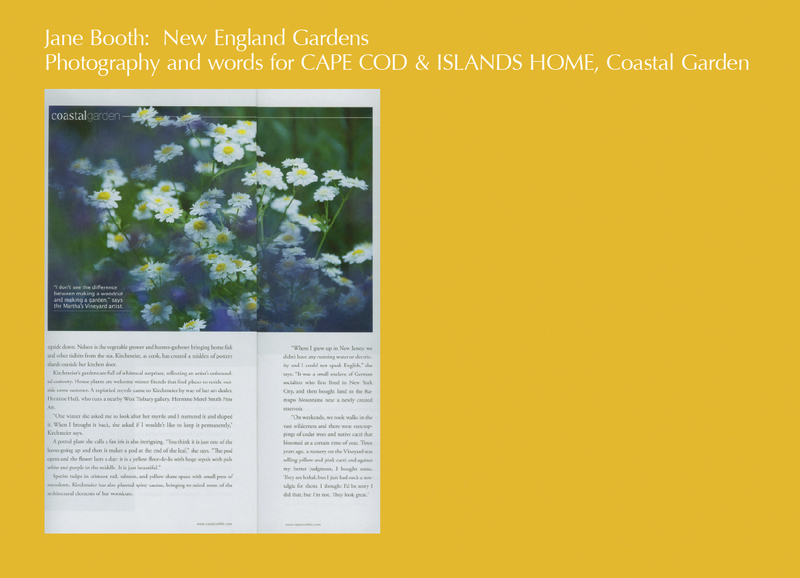 “I really like white in the garden,” says Flook, yet she uses it discriminately, just a bit here or there to draw the eye out of dark shadow, to create a fragmented moment in the twilight of day. 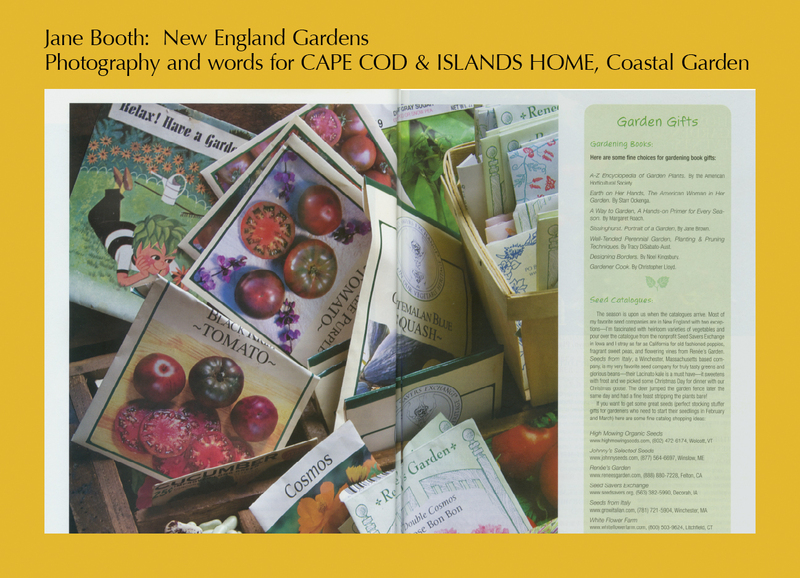 “A garden to me always meant this wonderful sense of fighting against death, fighting against all the struggles that you face in your life whether it be work troubles or family troubles. 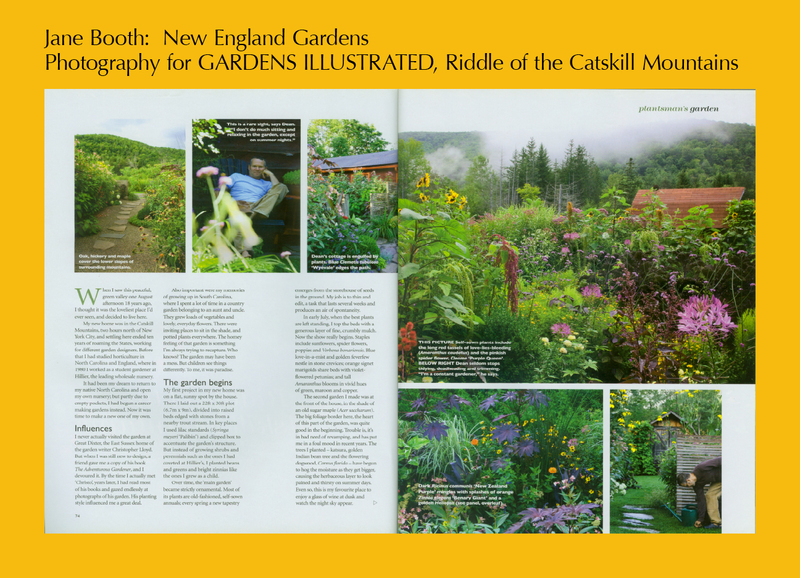 If you can work a garden, you still had something, some power in the world…a bolster against the hard grim world. 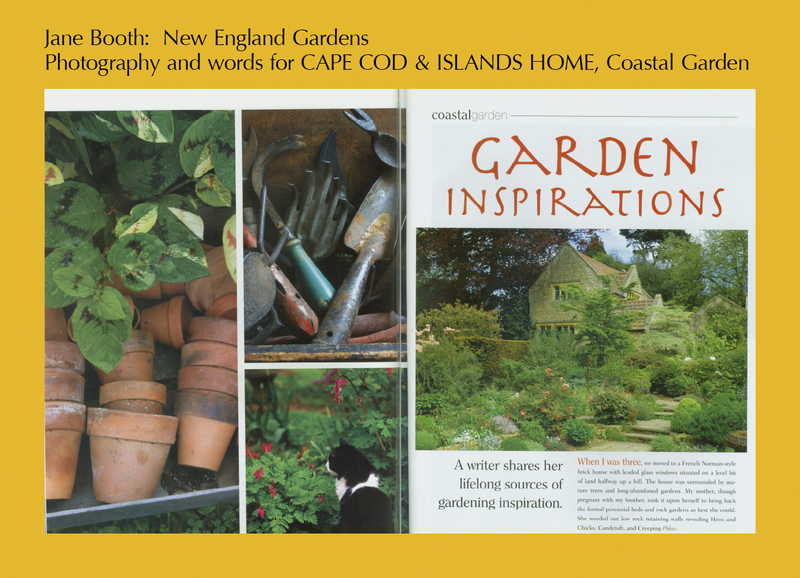 It is a sign of health, a health of the self.” Wonderful words of wisdom from writer and gardener Maria Flook. 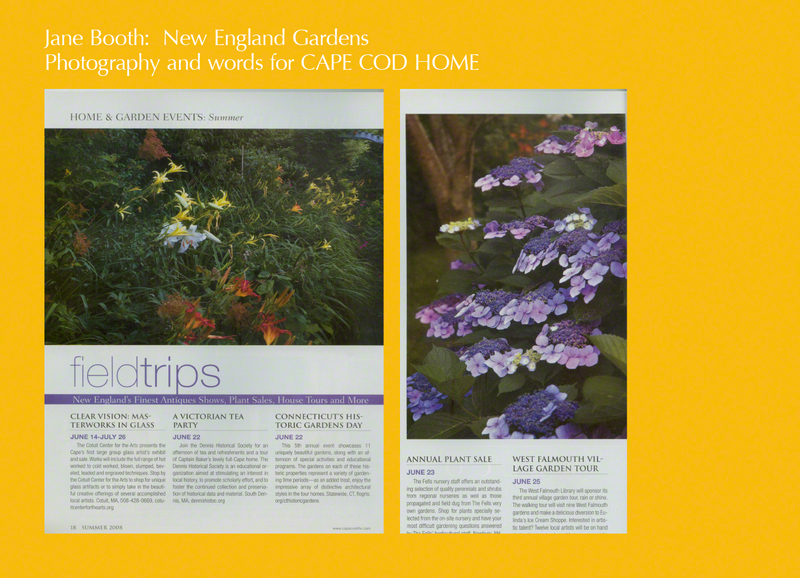 This entry was posted in Cape Cod Home, Published Work and tagged 'Jolly White Giant' daylily, 'Marisca' daylily, 'Rare Love' daylily, 'Scatterbrain' daylily, a sense of place, black eyed susan, bluestone pavers, Cape Cod garden, cape cod gardens, Cape Cod Home, cape cod private gardens, Casa Blanca lilies, Cimicifuga racemosa, clematis, coastal gardens, coastal living, conifer hedge, daylilies, Dodge McKnight, Family Night, Filipendula rubra, garden hedge, garden of solitude and mystery, garden path, garden room, gardening by the sea, gardening Cape Cod, Invisible Eden - A Story of Love and Murder on Cape Cod, Jane Booth, Jane Booth Cape Cod and Islands garden stories, Jane Booth Cape Cod garden stories, Jane Booth garden photographer, Jane Booth garden stories, Jane Booth garden writer, Jane Booth New England garden photographer, Jane Booth New England garden photographer/writer, Jane Booth New England garden stories, Jane Booth New England garden writer, Jane Booth New England Gardens, Jane Booth photographer, Jane Booth writer, lacecap hydrangea, landscape architect Bill Whitney, Maria Flook author Lux, My Sister Life, mystery set on Cape Cod, New Dawn rose, New England garden stories, Nikko Blue hydrangea, Open Water, outdoor living, patio, Pee Gee hydrangea, phlox, private garden Massachusetts, private garden New England, private gardens, privet hedge, Rosa rugosa, Rose of Sharon, seaside gardens, snakeroot, terrace, The Story of my Sister's Disappearance. 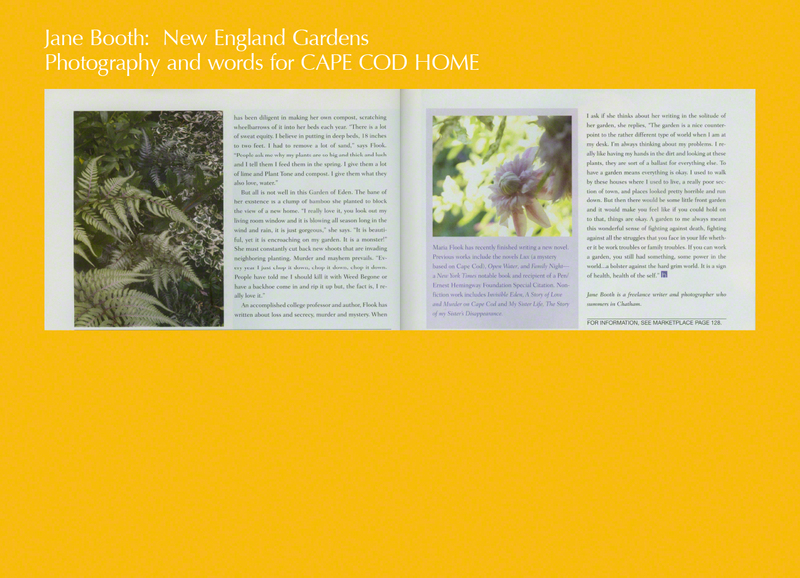 Pen/Ernest Hemingway Foundation Special Citation, trumpet vine, Truro, writer Maria Flook on February 13, 2013 by Jane Booth.